The home fans at La Rosaleda are chanting “A Segunda, A Segunda”, taunting their travelling counterparts with the suggestion that they are in danger of being relegated. It’s December 2003 and Juande Ramos’s Málaga have just thumped FC Barcelona 5-1. On-loan Valencia striker Salva Ballesta helped himself to a hat-trick, rounded off by a delicate chip from the edge of the box which left Rüştü Reçber red-faced in the Barcelona goal. Barça are languishing in ninth-place in La Liga with the Catalan press calling for the head of manager Frank Rijkaard. And things would get even worse before they got better. Three days later Barcelona are beaten 2-1 at home by their arch-rivals Real Madrid. Madrid, with former Manchester United assistant manager Carlos Queiroz at the helm, are in the midst of the Galáctico era and are the reigning champions of Spain. Zinedine Zidane, Ronaldo, Luís Figo, Raúl and David Beckham all sport the famous, immaculate white strip. Los Blancos glisten under the Camp Nou floodlights, while the home team struggles for inspiration. Regardless of the riches lavished on bolstering Madrid’s star-studded line-up, regardless of the rebuilding job supposedly underway at their own club, for Barcelona fans defeat to their bitterest rivals is tough pill to swallow. It was Madrid’s first Camp Nou Clásico victory in two decades. The Culés were sick. By the time a run of just two league wins from nine matches culminated in another embarrassing defeat – this time 3-0 at the hands of Racing in early January – they’d seen enough. Twelfth in the table, 18 points behind league leaders Real Madrid, it just wasn’t working. ‘Rijkaard out’ they demanded. A wave of optimism had engulfed Camp Nou in the summer of 2003. After four years without a trophy, the disastrous presidency of Joan Gaspart had been put to bed. Joan Laporta, a 40-year-old Barcelona-born lawyer, was elected in his place. Barcelona are unlike the majority of Europe’s major clubs in that it belongs to a collection of over 100,000 members, or Socios. 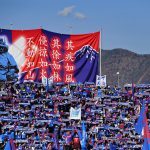 Run more like a small country than a major corporation, Socios vote to elect a president to undertake the day-to-day running of the club. The vast majority of Barça’s Socios are strict traditionalists that expect any incumbent leader to adhere to the principles laid down by the likes of Joan Gamper, Vic Buckingham, Rinus Michels and, in particular, Johan Cruyff. Més que un club – More than a club – is held dear among Barça’s followers. The fact that Laporta’s campaign for presidency was publicly endorsed by Cruyff went a long way towards ticking the box next to his name on the majority of ballots. Laporta’s first involvement in Barcelona politics came as leader for the Elefant Blau (Blue Elephant) group which tried, unsuccessfully, to bring about a vote of no confidence against former president Josep Lluís Núñez in the late 1990s. Laporta assembled a collection of confidantes and like-minded men to help restore his beloved club to its former glory. Sandro Rosell would be his vice-president, Ferran Soriano would devise the marketing strategy, Marc Ingla would act as General Manager, and former Barça player Txiki Begiristain was to be Director of Football. The group’s aim was two-fold: reconcile debts of €150 million left behind by the previous regime and bring beautiful, attacking, winning football back to Barcelona. Another unusual trait of the Barcelona set up is that its board members are all unpaid. In fact, at the time, each board member had to provide a guarantee of €1.5 million in order to sit at the top table. The advantage of anyone wishing to be on the board was that the position afforded greater exposure than almost any local politician would receive, exposure which could then be parlayed into the individual’s other business interests. One of the first, and most crucial, decisions the new board faced was appointing a manager. Barça’s performances had been dismal for the majority of the previous season. Dutch tactician Louis van Gaal had been brought back to the club for a second stint as manager at the beginning of the campaign, having led the Blaugrana to two league titles during the late 1990s. Van Gaal was unable to replicate the success of his initial reign and departed by mutual consent in January. With Barça in 12th position in the table, Serbian coach Radomir Antić was drafted in to steady the ship. And to some degree he did, guiding Barça to a sixth-place finish, ensuring UEFA Cup qualification. But sixth was not where Barcelona aspired to be. Antić was not retained, and a new manager was sought to restore Barça to the upper echelons of La Liga and the Champions League, where they felt they belonged. The board drew up a shortlist. They wanted the Ajax boss – and former Camp Nou hero – Ronald Koeman to spearhead their rejuvenation project, but the Dutchman proved too expensive. They thought perhaps Guus Hiddink’s vast managerial experience could awaken this sleeping giant of a club, but Hiddink too proved to be out of their league financially. Short of ideas, Laporta turned to Cruyff for advice on where to look next. Surprisingly, Cruyff recommended a man with only five years under his belt as a manager, none of which were with a major club. Frank Rijkaard was a legend as a player, a long-time Dutch international and winner of back-to-back European Cups with AC Milan. But his fledgeling managerial career had thus far failed to reach such heights: a semi-final exit at Euro 2000 with the Netherlands was followed by overseeing the first Eredivisie relegation in Sparta Rotterdam’s history. 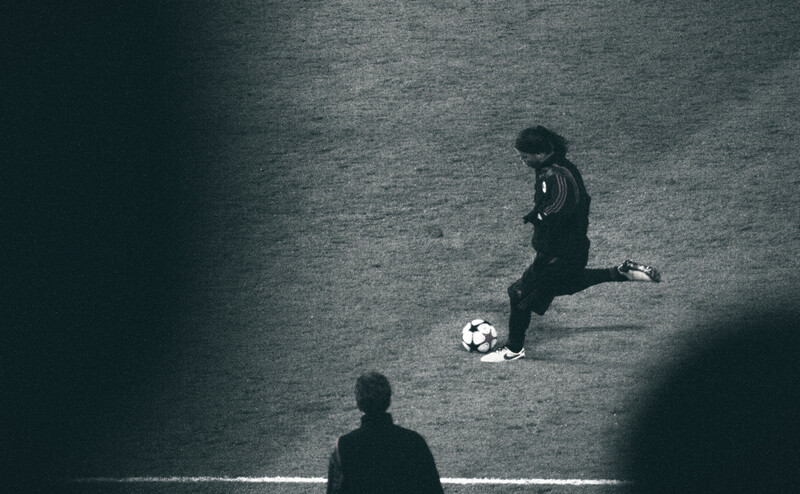 Hardly a glowing CV, but Cruyff saw something in Rijkaard – perhaps a little bit of himself. More importantly, he saw a man with the temperament to cope with the pressure of a mammoth undertaking such as the Barça job, as well as the conviction of his beliefs. Sceptical of the idea that such an inexperienced coach was the right choice, yet trusting Cruyff implicitly, Laporta put his faith in Rijkaard. Faith that would be tested over the months that followed. Along with a promise of reduced debt and on-field success, Laporta had also wooed voters with the possibility of signing David Beckham from Manchester United. Beckham was a global superstar and Laporta was sure that he could sign him. He was wrong. Beckham opted to join Real Madrid and it proved the first embarrassment of the Laporta regime. However, Laporta and co. were not left red-faced for long. Knowing that a marquee signing was the best way to appease the disgruntled masses, Barça moved on to plan B. Their second option, after Beckham, was Paris Saint-Germain’s Brazilian World Cup winner Ronaldinho. But by the time Laporta and his men had turned their attention to the buck-toothed trickster, Manchester United were already way down the line toward securing his signature. While United dithered over agreeing a fee with the Parisians, Barça moved swiftly and lodged a €30m bid. PSG accepted and — in part aided by vice-president Rosell’s relationship with the Brazilian through Nike, where Rosell was a former executive – Ronaldinho became a Barcelona player. “You’ll see, you’ll be very, very happy here,” Laporta told his new number 10 as the contract was signed. An estimated 20,000 Culés turned up to Ronaldinho’s official unveiling at Camp Nou the following day. The Brazilian went through a repertoire of tricks and ball-juggling as the crowd oohed and aahed, daring to dream of what this talented 22-year-old could lead their club to achieve. On his home debut, the former Grêmio player painted the Camp Nou crowd a clear picture of what he could do: dribbling from inside his own half before rattling a thunderous strike in off the bar from 30 yards in a 1-1 draw with Sevilla. In addition to Ronaldinho, promising Portuguese winger Ricardo Quaresma was brought in from Sporting CP, Rafael Márquez joined from Monaco and Turkish goalkeeper Rüştü Reçber was signed on a Bosman. At the same time, expensive flops Patrik Andersson, Philippe Christanval and Geovanni were let go, while Fábio Rochemback and Juan Román Riquelme were loaned out to reduce the wage bill and number of non-EU players. The future was starting to look bright for Barcelona. However, a small group of match-going Barça supporters were far from enamoured with Laporta. A collection of members who called themselves the ‘Mad Dogs’ demanded a pay-off, along with free match tickets. In return, they would promise to “behave themselves”. Unlike the previous regime, Laporta refused to kowtow to this violent group, insisting that there was no place for such behaviour within the new-look Barça. A campaign of intimidation ensued, with the Mad Dogs vandalising Laporta’s property and sending death threats to the new president. At one stage, a rabble of seven men claiming to represent the group accosted Laporta, with the president narrowly escaping serious harm. Laporta stood firm in his stance that this Barça board would not be bullied. Whether in agreement with their decisions or not, one thing Culés could not doubt was the commitment of Laporta and his board. When Soriano’s wedding clashed with a Barça away fixture, Laporta and Rosell decided to sneak away from the party to huddle around a portable TV, stifling their cheers and groans as they studied the grainy images of their team in action. For all their grandstanding, bravado and vanity, these men cared about the club and wanted to make a difference. In January 2004, Barcelona approached a fork in the road. The defeat to Racing marked the nadir of what had become a wretched half-season. There was a decision to be made: should they stick with Rijkaard and hope he can turn things around, or remove the former Sparta coach and bring in a fresh face to reinvigorate the team? 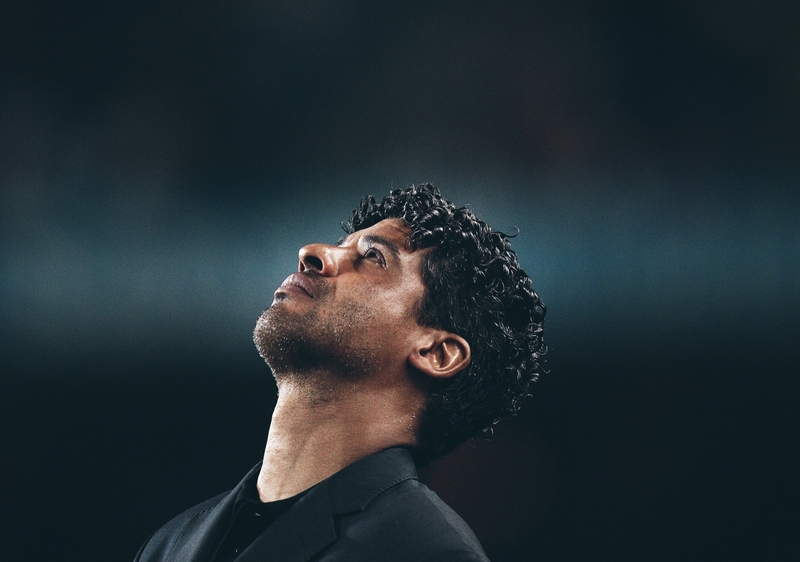 Discontent within Camp Nou was at a high and few voices were raised in support of Rijkaard. 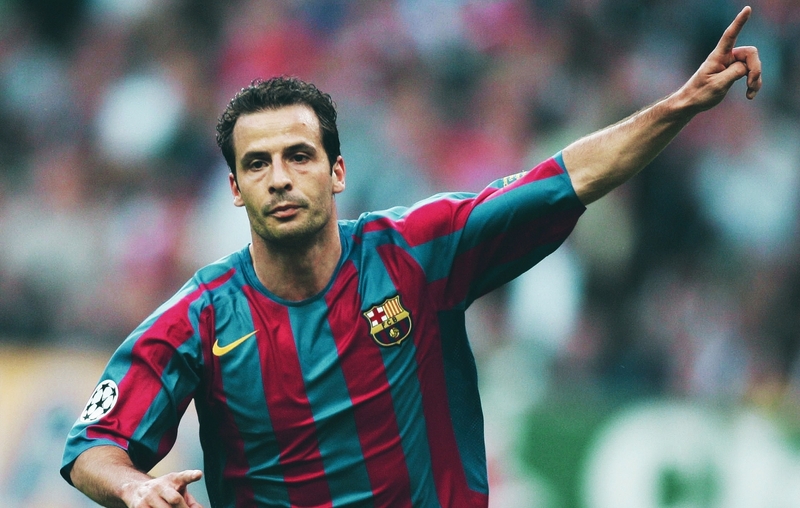 The fans wanted the Dutchman gone and they implored Laporta to act. Rosell was also of the view that Rijkaard had blown his chance and he wanted to bring in Luiz Felipe Scolari, the man who’d guided Brazil to World Cup glory in 2002. This was not the only matter on which Laporta and Rosell disagreed; the two former friends had grown noticeably quarrelsome and their broken friendship would never be repaired. Laporta was determined to stand by Rijkaard and refused to make a managerial change. Instead, focus was turned to the transfer market as a means of resurrecting their disastrous season. But if Barça were to add a player capable of having an immediate impact, they would have to be savvy. Money was tight, there would be no lavish spending. Culés wanted a striker. Patrick Kluivert and Javier Saviola had been far from prolific and the fans saw a need for goals. They were surprised and slightly underwhelmed when 31-year-old defensive midfielder Edgar Davids was brought in on loan from Juventus. Davids was a world-renowned name, having won the Champions League with Ajax in 1995 before moving to Serie A with AC Milan and then Juventus. But at 31, and deemed surplus to requirements at the Delle Alpi, the Dutchman’s signing was greeted with little more than a shrug. No sign of a 30-goal striker, no big-money purchase for fans to celebrate. Yet Davids’s arrival proved to be exactly the catalyst that Barcelona craved. Adding solidity to the midfield alongside compatriot Phillip Cocu, the presence of Davids allowed Xavi to play a more advanced role, acting as the supply-line for the front three of Ronaldinho, Saviola and Luis García. Real Zaragoza were swept aside 3-0 at Camp Nou with goals from Saviola, Ronaldinho and Xavi. A draw in Bilbao was followed by five straight victories as Barça steamrollered Sevilla, Albacete, Osasuna, Atlético Madrid and Valencia, before they arrived at Riazor to face title-chasing Deportivo on 29 February. The Catalans raced to a three-goal lead thanks to a Saviola strike and a brace from Ronaldinho. A second-half fightback saw the home side score twice, but Barça clung on to see out the victory. This was the kind of game that separates the contenders from the pretenders. At the time, Deportivo were still one of the best teams on the continent and a serious challenger for the league title. 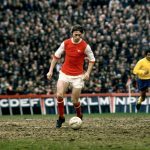 The mettle displayed by Barcelona that night showed that they had turned a corner; they were no longer looking down and fearing what might happen, they were fourth in the league and looking up at Real Madrid, Valencia and Deportivo. “Madrid will start to lose, Deportivo will start to lose,” Laporta said during a meeting with senior board members and Rijkaard. The president was bullish. His vision for what this team could achieve was finally bearing fruit. Rijkaard’s team had clicked. They had rediscovered the Barcelona way, as handed down by Cruyff’s Dream Team of the early 1990s and the great Barça sides before them. Ronaldinho was setting himself apart as one of the most gifted players on the planet, lighting up La Liga with tricks, flicks and no shortage of goals. The ball seemed to be oscillating high above the Bernabéu, almost in orbit. It’s 24 April and Barça have travelled to Madrid, seeking revenge over their hated rivals for the embarrassment suffered at home earlier in the season. Santiago Solari had given Madrid the lead but Kluivert had equalised. With 86 minutes played, Ronaldinho lofts a pass over Los Blancos’ defence. Suspended in the heavens for what feels like an eternity, gravity drags the ball back down to Earth and directly onto the outside of Xavi’s right boot. Iker Casillas is helpless to prevent the Barça man’s strike from crossing the line. Xavi, the proud Catalan, has struck the killer blow against Madrid. And with that, Barcelona have stretched their unbeaten run to 16 games. But two weeks later, after successfully dispatching Espanyol in the Catalan derby, Barça’s winning run was ended by Celta de Vigo, and with it went any realistic chance of winning La Liga. They’d managed to leapfrog both Deportivo and Madrid, but they couldn’t oust Rafa Benítez’s Valencia in top spot. The dream was put on hold for a season. The next term would see Barcelona get their hands on the La Liga trophy for the first time in five years. They were unable to tie Edgar Davids down to a permanent deal, with the midfielder opting to sign for Internazionale instead. But reinforcements came in the form of Deco from Porto, Samuel Eto’o from Mallorca and Ludovic Giuly from Monaco. The 2004-05 season would also see the debut of a shaggy-haired 17-year-old Lionel Messi. Even greater success would be achieved in 2006 as Barça retained La Liga and added the Champions League with a 2-1 victory over Arsenal in Paris. Sandro Rosell stepped down as vice-president in 2005, his relationship with Laporta frayed irreparably. Rosell would go on to successfully stand for election against his former friend in 2010. Though the 2003/04 campaign brought no trophies to celebrate, it could reasonably be pointed to as one of the most important seasons in FC Barcelona’s recent history. The hope that had accompanied the commencement of the new season had been trampled by January. It was a year in which Barça walked a tightrope between success and oblivion. It’s impossible to know how things would’ve turned out had Laporta bowed to the pressure and dismissed Rijkaard when that seemed like the obvious option. Maybe Barcelona would’ve gone onto achieve great things regardless, but they would’ve had to do it in a different way. By staying faithful to Rijkaard – and heeding Cruyff’s advice – Barça stayed true to their historic principles, laying the foundation for the likes of Guardiola, Xavi, Iniesta and Messi to flourish over the next decade, to once again be més que un club.